Translation: Can you read this? Help make English our official language. I recently heard that Washington State offered its drivers license tests in 7 different languages! I’m trying to find out more about that, but I did see on their website that they offer the Driver study guide in 7 languages. Think about it, people driving around who don’t know enough English to study the practice questions for a driver’s license test? That sounds dangerous—the questions are pretty simple. The email went on to state that a Zogby poll showed that 84% said English should be the official language of government operations and 77% of Hispanics supported English as our official language. There have been 28 states that made English their official language already. It would be better if our Congress would act and establish English as our official language. Contact our members of Congress and let them know what you think. You can send the email as is or write your own—don’t forget to put in a subject line. K-3? Why not K-2? K-1? or how about this? I am sure you have seen this already, St. Dominic's is offering K-3. Their decision to start this program is just that: their decision. It is their money, their time, their facility. A reader who was against Elmbrook's 4-K decision emailed me today to say, "I can hear it already, (the school district will say) 'We're falling behind...'." Others I have spoken with quipped that we need a K-2 or K-1 or get them on the way to the hospital! Sounds rather like Brave New World to me. To out do all competition, should Elmbrook start a K-in utero program? There is reasearch, after all, that says reading to your baby before birth is beneficial. But then, someone could better us by starting a K-gleam-in-his-eye program! Instead of worrying about being competitive with the pre-school set, Elmbrook should just stick to what our community thinks they do pretty well: educating school age children. The Elmbrook School District came out with a referendum tax calculator. All you do is plug in your "fair market value" from your 2006 tax bill. If I were being polite, I would call this creative bookkeeping on the School District’s part. What happened to the former estimate of around $1.02 per $1,000? 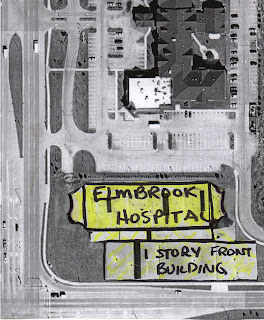 The following history of Elmbrook referendums (in bold black) was supplied by Bob Borch. My notes are in red and came from what I could glean from other sources. Extra money taken from taxpayers to invest and later pay off future debt in 2012 - 2015. Wiring was completed at every other school it was implemented in, but NOT the high schools, because of anticipated referendum—Source, Dave Ross. 1997 Linfield Grade School sold to Heritage Christian School for a little over $1 million dollars. This was District 7's neighborhood school. 4 failed referendums on this from 1991 to this 5th one passing for extensive remodeling to reopen and substantially add to Swanson and returning Wisconsin Hills BACK to a middle school. 1991 Lowest high school enrollments ever. Brookfield El. received remodeling money here in 1988, but was razed 12 years later for construction of the NEW Brookfield El. Added 4 classrooms to Pilgrim Park Middle School. *Because Wisconsin Hills was really never needed as a middle school (the district should have known this since the children were already pre school age or in grade school when they built it), Elmbrook reconfigured Wisconsin Hills as a grade school. Bubblers and bathrooms had to be altered to accommodate shorter grade school children. This angered residents who felt it a waste of money to build a middle school that only served as a middle school for a short time. Cottage Grove and Linfield were eventually sold. Linfield was purchased by Heritage Christian School for approx $700,000. This is still the polling location for District 7. Source—long time district residents and Leonard Shaefer. CORRECTION: 4/9/08 Assistant Superintendent MacKay of Heritage Christian stated Linfield was purchased for just over $1million in 1997. At some point (dates unknown) the elementary school on Lilly and Hope (administration building), Fairview North Elementary, and Burleigh Middle School were closed, and Burleigh was remodeled to become a large grade school. Wisconsin Hills was built as a Middle School, but was not really needed since there were 2 other middle schools already in the district. The district does project 5 year population studies (based on births in the district), thus the future enrollments should have been better estimated. Other district schools—dates unknown: Linfield, Cottage Grove, Fairview North, Lieland School, Elmbrook Administration Building (former grade school), Amy Montessori School (former administration building), Shady Nook?, a small grade school on 124th and Greenfield. There are probably others I missed too. All of these were paid for by district tax dollars. *Actual date for reconfiguration of Wisconsin Hills to grade school and closing of elementary schools unknown. This could be further researched at district offices. It was at a time prior to our moving here in 1986 and was still fresh in the 1991 vote no group's minds. Remember that Senate bill #1 last month that threatened grassroots type organizations from contacting their constituents via the internet? Your calls to the senators influenced them to vote for an amendment that eliminated the offensive clause that restricted email alerts. Great. Good. We thought that was settled. Maybe not. Focus on the Family action alert notified me that Nancy Pelosi, our Speaker of the House, may introduce similar restrictive legislation! I think we can all agree that whether you are a conservative or liberal, restricting a grassroots type organization from contacting their membership via email IS a restriction of the right to FREE SPEECH. Please call Speaker Pelosi and ask her NOT to introduce that Section 220 language (that section restricted the grassroots groups from using the internet) into any future House legislation. Last weekend, I went on the mechanical tour at both high schools. I saw many things that should have been attended to but did not require a referendum to do. Others were items that in other districts would have just been taken care of within their operations budget, like painting door jambs, etc. The third category would fall into a capital improvement project during the summer, such as new chemistry cabinetry and counter tops. Nothing I saw was anything that a bit of diligence and a modest increase in budget could not remedy. I question this statement because both would have been inexpensive and relatively easy to fix. The first picture is of the ceiling in the girls locker room at Central’s pool. I think it has been like this since I took a mother and child swim class (my son is now 18). It is an access panel for something. The question is why was the ceiling never re-plastered around the frame? This is not a functional problem, just a cosmetic. I could even repair this one! But these holes in the electric room are a real problem. They are the remaining sleeves from the abandoned oil tank lines which passed through the electrical room at Central. As you can see from the photo, water is seeping in through these holes and collecting on the electrical room floor. Now most people’s first reaction is that water and electricity don’t mix. Pity the poor electrician that needs to work on or shut off any circuit breakers in there! That is a problem, but it's not the worst problem. Electricians are not to work anything "hot". No, the real problem here is that the humidity is very high in this closed room and humidity and contacts don’t mix. High humidity causes the contacts in the circuit breakers to oxidize and corrode. This eventually will cause the breaker to fail. Considering how many breakers are in this vicinity and the expense of changing them out, you would think the district would get after this, or at the very least put in a dehumidifier. This would be a prime example of a very inexpensive repair that the district is ignoring. It does not require a referendum to fix it, just effort. We had a similar situation in our home. The underground oil tank lines came into our basement and water leaked in around the pipes. My husband dug down with a shovel, cleaned up the area, and used hydraulic cement to patch the holes. Cost? About $10.00 in cement and a bit of sweat equity. That is all it would cost the district too. If the area above that wall is not accessible, it could be patched from the inside with the cement and epoxy. There is no reason that the district could not fix this either. They still can and save the circuitry. Any responsible property owner would do so. So why have they been neglected? Seems to me the district has a strange mix of Slum Lord mentality: do as little as possible, combined with a welfare recipient attitude: why take care of it; the taxpayers will just buy me a new one. I’m hard pressed to come up with any other explanation for neglecting these simple repairs. Last week I received my first and only piece of campaign literature for this Tuesday’s primary election. It was a pro Annette Ziegler piece and was sent from the Wisconsin Chamber of Commerce. I had heard about her before, that she currently is a Washington County Circuit Judge and is more conservative. I don’t know much about the other two candidates, except that they are both attorneys from Madison and neither are judges. Although this is just a small primary election, Tuesday, Feb. 20th will still be a special day for our household. It is the first time my son, who just turned 18, will be able to vote! Ever since he was born, he has accompanied me to our polling place for nearly every election—you know, Train up a child in the way he should go...now it is his turn to participate too. Shortly before his 18th birthday, I lamented that there was not a more exciting election for him to cast his first vote in, but such is life. This way, he can register at the polls without much of a line! Certainly the April 3rd spring election will have more at stake: The nearly $100,000 million Elmbrook School Referendum. Hopefully he will see that his vote will make a difference then. Remember to vote on Tuesday the 20th and MARK YOUR CALENDAR FOR APRIL 3rd. Dan Ertl, Director of Community Development, formally addressed the Feb. 6th Common Council meeting from the podium: City Department heads and Mayor, this is important. Then he began by saying something about how the state won’t approve incorporation for the Town because of those 7 fragment areas. OK, I can understand those present a problem, but then he went on in his most serious (somewhat whiney) Dan Ertl voice, The Town does not appreciate a planning department. Look at the last 2 miles of Bluemound. They use cheap materials and have no frontage roads. We get blamed by people and bloggers for their poor planning! Being a mother, I recognized that blame-game tone, it reminded me of 2 children finger pointing at the other one’s faults when both are guilty of the same infraction. No wonder Jim Mathes admonished both sides to “Grow Up”! I immediately started to travel westward down Bluemound Road in my mind’s eye. Was what Ertl was saying accurate? Ertl continued. If the Town continues as an entity with 7 fragments or the smaller core, (he inferred they were inferior because) the Town of Brookfield does not have a Master Plan or Plan (department). He then gave a few examples of problem areas such as the 1992 Kmart building where Dan Finley had intervened to impose a frontage road. I was thinking more of some blunders our plan commission made such as adding more traffic producers to the Brookfield Square corner. In contrast (to their lack of planning) I bring you to our process, Ertl proudly continued. Like Quebecor: The community established the plan, not a developer. The plan is in place before the developer. 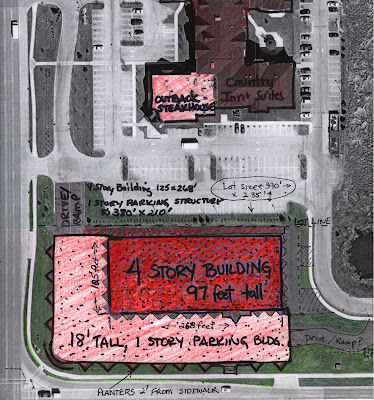 That is NOT the planning process of the Town of Brookfield. The meeting then proceeded as I noted in A few highlights. It all sounded good. We plan and do things thoughtfully; the Town doesn’t plan and lets developers dictate design. But, is that the reality of the situation? I DON’T THINK SO. 2004 Capitol Heights: The developer (VK) dictated density, not the Master Plan. Calhoun and Capitol Fairview property: Floor area ratios from the Master Plan were ignored and higher ratios allowed. Brookhollow: The plan for a change from single family residential zoning to multi-family zoning was contingent on Brookhollow’s own Moorland access road yet because of a clerical error, that requirement was not put into the minutes. Soon we will have 80 condominium’s worth of traffic using a residential street as an access road. Quebecor: True, the neighborhood is involved—that is great! BUT, that does not mean that a developer will agree to the plan. Most developers wish to build at the highest density on a property as possible. This is understandable; they are trying to increase their profit margins. (A few do come in at or under the max such as Thomson Corp.) The plan commission’s job is to reject those overly dense designs and hold the developer to the agreed upon density. The plan commission and common council however do not always hold the line on density. That is why VK’s Capitol Heights is too tall and crowded for the site. There is no guarantee that Quebecor’s development will comply with the neighborhood plan. Calhoun south widening: The Master Plan clearly outlined the size and scope of the future widening, yet the city did not follow that Master Plan—they approved widening above what the master plan called for. As for Mr. Ertl’s comments that the Town uses inferior building materials and does not use frontage roads, I found that laughable. I think Mr. Ertl confuses brick and stucco with good design. He acted as if all Town of Brookfield buildings were pole buildings and City of Brookfield’s were superior split stone—that by virtue of the building materials alone you could tell if you were in the Town or City. True, the Town does have some ugly buildings such as the Menards, but that property was recently sold, I believe, and the Town is looking forward to a more upscale development there. Like the City, when these types of properties change hands, they look to improving the appearance and access. So, here is a test: Is the Galleria and Kopps on Brookfield Road and Bluemound part of the Town or City? It does have a frontage road, by the way, and it is brick. It is the Town of Brookfield. Frontage roads: My definition of a frontage road must be different than Mr. Ertl’s. I think of a frontage road as a real, separate road, like Blue Mound Frontage Road at the Brookfield Corporate Center—something that would show up on a map. Ertl must think those parking lot roads that ring a parking lot are frontage roads—like the ones in Brookfield Square or the Brownstones. But if we count those, then how can you say the Town does not use them at The Galleria or at various other shopping strip malls? Anyway, pay attention when you are on Bluemound. See if you can tell which is Town and which is City just by virtue of frontage roads and materials? Is the difference that glaring? Then ask yourself how much money our City spends on our planning department? Are we getting our money’s worth? Could that money be better spent elsewhere? Tuesday night two residents addressed the common council, both about the fire stations. Jim Mathes, who lives at the city's westernmost address south of the interstate, addressed the council first. He said that the city was embarking on “a pure waste of money”. My family does not require a degradation of response time to the eastside to “help” me, he said. He added that the relocation would pit eastside against westside. As for relations with the Town, he admonished that BOTH sides needed to GROW UP. Please work with the Town, save us money and get rid of the boarder wars, he urged. His parting words were cautionary: The Town is good at negotiating! The meeting then proceeded. After a few oral votes on various bits of business, the council started discussing cooperation with the Town. The city attorney went through a long history of the tried and failed attempts of the Town to incorporate. Dean Marquardt, pointed out that many of the aldermen were not involved in the talks and gave a time line of Town/City events. The dates ranged from Aug. 2004 – Sept. 2006. The bottom line was, the Town wants a border agreement and they do not want any further annexation to the City. Dan Ertl, Director of Community Development, then addresses the council. His comments will be the topic of my next blog: Sorry Mr. Ertl, I really don’t see much difference. Alderman Jerry Mellone asked if that previous offer of $804,000 to the Town to provide fire/EMS service was a verbal offer or in writing? Dean Marquardt explained that since there was no Common Council approval, it was not official. In other words, it was not in writing. Lisa Mellone was curious to know how the decision was made as to who was at these Town/City meetings. Why was no elected official present there? (Good point, Lisa.) That brought up a whole new discussion. The city attorney said there was no real policy on this; evidentially the council didn’t feel it necessary to have an elected official there at the time. Marquardt quickly added, When Henderson was there, the Mayor was there. Bob Reddin then pointed out that there should be a transcript or record of some sort of these meetings. Dan Sutton was still chewing on the mayor’s reason that no council members were there because they were not trained negotiators. So Dan asked what training would we go through? Dan Sutton restates, I hope in the future, I hope council (member/s) can be there, so we won’t have to hear, He said/She said. All I know is what staff tells me—and I don’t know! I wish there was a concrete record we could go back to. Gary Mahkorn defends the integrity of the staff. Dan replies, I have respect for staff, but 6 people will have 6 differing opinions (of what happened), but we (at council meetings) have minutes and vote on them—we have a record. Gary replies that we need to establish protocol; we don’t always want an elected official there. The staff has no hidden motivation—they take their marching orders from the council. Now the mayor expresses concerns that they may be getting into some negotiations issues that should not be in the open. Before they go to closed session, Alderman Berg asks if the attorney could give the public some idea of what would be discussed in closed session. Karen lists a few things like: protective services, boundaries, and the makeup of the meetings. Rick Owen adds that we need someone taking notes. One last subject is discussed. Mark Nelson asks about the RA Smith study. There seemed to be a lot of back and forth about that study. Did the Town ever cooperate in the RA Smith study? The mayor says we were only able to get information through open records, but they did not want to participate or put any money toward it. Now, I don’t find that too surprising since I thought the study was about annexation. Wouldn’t that rather be like asking Midwest Express to help pay for a feasibility study of what it would mean to have Airtran take them over? They went into closed session shortly after this. A reader sent me the link to the fire dispatch audio for Waukesha County . You can click to listen and hear real-time fire dispatching audio for our county. I imagine if you listen at rush hour the call frequency increases. There is also a video feed of the week you might find interesting. The following numbers let you know who the call is from. Example: If the number given was 2153, it would mean the call was from a City of Brookfield ambulance coming from station #3. A 2163 would indicate an engine/primary response units, again from the City of Brookfield's station #3. Sure enough, when I clicked to listen again, I heard a call number of 2163 and now knew what that meant. In case you were wondering what the businesses along Moorland Road think about moving Fire Station #3 to Calhoun Road, wonder no more. The following letter was sent to the Task Force members, District 7 aldermen Lisa Mellone and Mike Franz, Dean Marquardt, and Mayor Jeff Speaker on June 6, 2006. We are contacting you today to state our opposition in the relocation of the Fire station located on Hackberry Lane and Moorland Road. The following businesses listed below along with the thousands of guests and visitors who frequent Moorland Road are concerned with the speed in which the task force is moving with respect to such an important decision. We feel as though the safety of Moorland Road will be compromised with the decision to move the fire station to Calhoun Road, with respect to both traffic and emergency response times. We would welcome the opportunity to provide input on this decision. The Businesses of Moorland Rd. "I urge you to join with other members of Congress and make English the official language of the U.S. Any child growing up in America who cannot speak and write English is at a distinct disadvantage. English doesn’t have to be the only language, but it certainly should be the official language. Please let me know your position on this matter." Portions of this letter are posted here for link purposes. If you thought the defeat of Section 220 of S.1 was the end of the threat to our freedom to keep you abreast of what's taking place in Washington, D.C., and your ability to hold your elected representatives accountable – think again. Section 220 would have allowed for fines and prison sentences on organizations like Focus on the Family Action for failure to comply with miles of new red tape governing "grassroots communications." ...We know you feel strongly about your freedoms, and that's why we're asking you to call Speaker Pelosi's office and politely – but firmly – urge her to not introduce the Section 220 language into any future House legislation. You can reach her Washington office at (202) 225-4965 or her San Francisco office at (415) 556-4862. Don't worry if she's not your representative. Since she's speaker of the House, all Americans can contact her with their concerns. Also, we are continuing to rally petitions signers to our FocusAction petition. Please forward this message to your friends and ask them to click here to sign the petition preserving our right to petition the government. Thank you for continuing to stand with us in defense of our precious freedoms. We'll continue to keep you informed about this threat so you can make your voice heard. The City of Brookfield made a "total and final" offer to the Town of Brookfield to provide fire service to the town, using their facility. The Town would pay us $875,000 to man their fire station. Why would the Town go for such an offer? Because the Town could save $200,000 year. The Town has until March 10th to respond to our City's final offer. Monday morning I joined Alderman Jerry Mellone and 5 other Brookfield residents for a tour of the Town’s fire house. For some reason, I was expecting something more akin to fire service straight from Mayberry RFD than what I saw. The Town Center, newly remodeled in 1990, looked to me to be a modern facility. Rightly or wrongly applied, I have associated the terms/impressions floating around our city of part-time, volunteer, not professional, etc. with the fire service of the Town. After speaking with their fire chief, Andy Smerz, I think I now have a better understanding of how their system works. The Town always has 5 fire fighters on duty: Engine officer, heavy equipment officer, and fire fighter on the engine and 2 paramedics in the ambulance. There are 5 on duty, 7 days a week, 24 hours a day. They work 10 hour and 14 hour shifts. The part-time description really describes the amount of days each individual fighter works per month. This part time status saves the Town money in that they do not pay for health insurance. The firefighters work in some other community, I presume, where they do receive health insurance, or they pay for it on their own—possibly funding it by picking up a few extra shifts a month at the Town. The Town has a pool of 40 fire fighters. Of that 40, 20 are paramedics. 50% of the 40 have been there 10 years. 7 or 8 of the paramedics use the Town as their full time job. Full time pay for paramedics is $40,000/year. The Town has a 7-9 year turnover; no one has left during the past year. The Town recently hired a fire chief last Aug. All firefighters are both firefighters and EMT. The EMT paramedics are also firefighters. The Fire Chief stressed that his paramedics were trained by our fire department. The Town always has 2 EMS trucks ready to go. If the engine and EMS is out on a long call, then they send out a call back to get in a 2nd crew. The chief said this takes about 5 minutes. This is the same method our city uses. *Clarification: This statement could be misleading. Our city, as most departments I would think, do rely at times on the all call or call back to call in extra personnel to report for duty, should they need more staff. In the City of Brookfield though, each of our 3 fire stations has 1 fully manned EMS truck, ready to go out, at all times. If a 2nd EMS call comes in, the City just sends one out from another station, without the 5 or so minute lag that the Town would have. 1 Instant Response: a big Chevy quad cab truck with covered bed. Captain Andy uses this vehicle (it can be used by the paramedics too). 2 Paramedic Transport units (big ambulances). With the all call or call back they could get 6 total paramedics on duty. 2 engines—each hold 1,000 gallons of water and contain everything needed to fight a fire. With the all call, they can get another crew of 3 in 5 minutes. 1 ladder truck—95’ ladder tower with pre-piped waterway. This truck goes out a lot on mutual aid calls on the 1st. call. Their equipment utilizes “Opticom” to control the traffic lights. The Town’s response time average is 4 minutes, that would lower to 3 minutes if the Capitol Drive area were eliminated. 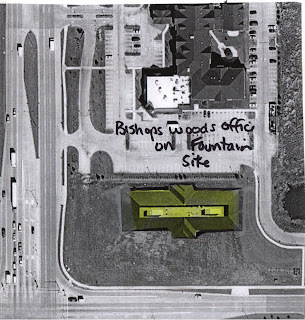 20% of their calls are on Blue Mound and 20% are for I-94. They have about 1,100 calls a year, of which 80% are EMS. Large kitchen area for food prep and eating, some office work, and conference table. This is scheduled for remodeling soon. 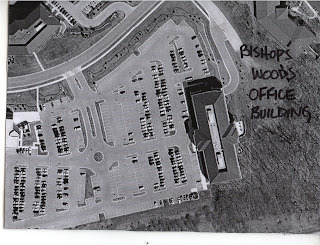 Most of us remember the shooting at the Sheraton Hotel on Moorland a few years ago. The Town paramedics were called to lend mutual aid and took one victim to the hospital. The fire chief stressed that although relations between the City and Town have been strained, the cooperation and respect between the fire departments is very good. These firefighters must rely on each other all the time; they depend on each other for mutual aid. They know that no community could possibly afford all the fire/ems equipment and personnel that is needed for every scenario. By cooperating, they are able to meet the needs in a more cost effective manner. If the goal of the Fire/EMS Task Force study was to make travel times more equally distributed, it is difficult to understand how relocating the #3 station 1 mile to the west can possibly accomplish that result. I won’t go into the “hot spot” discussion here. Station #3’s close proximity to that area of highest need (hotels, interstate, and Brookfield Square) is easy enough to see. Monday, I again conducted some time/travel tests of my own. I was curious to see how far some of those Weston Hills addresses were from the present Moorland #3 fire station. If the Task Force’s recommended location for #3 was on Calhoun, surely the new travel times to the farthest reaches of the south side should improve, right? WRONG! According to the Task Force travel time map, the 3 random addresses below I-94 in Weston Hills (the western most area of Brookfield) are: in clockwise order: 3:27, 3:48, and 2:37. (The area north of I-94 is really in Station #1’s area.) The 3 sites on the east side (not the easternmost border) are: 5:13, 6:50, and 5:30. Does that seem equitable to you? Keep in mind, those eastern locations are not the furthermost addresses on the eastside. The proposed redevelopment of the Quebecor property will add 200(? )condo/apartment addresses northeast of that 6:50 site on the map. So what are the travel times to those western Weston Hills destinations that are so terrible we have to relocate fire station #3 from its current “hot spot” location? Again in the same order: 5:26, 5:47, and 4:37. Moorland #3 services the eastern addresses at 3:12, 4:40, and 4:30. Why is a 6:50 travel time (not the most easterly address) to a densely populated area of the eastside an acceptable travel time for the new location, but a travel time of 5:26 and 5:47 to Weston Hills unacceptable for the present station location? Moving station #3 to the west is not only borrowing from Peter to pay Paul, it is going into debt to boot! The new travel times are worse than before! At the HRPS meeting, Alderman Mahkorn said that you will hear argument there are more calls to #3 (on Moorland). That argument is for today. But I am envisioning for the future 15 – 20 years. Where will the demographics be? It will be more to the west. I could not disagree more! Unless we annex more of the Town of Brookfield, we are already built out as far west as we can. The density of the current eastside homes is not going away—and more condos will be added. If Mahkorn was referring to VK’s Ruby/WTMJ property, that could be serviced by Station #1, which is just 2 miles away, or Station #3 which is currently also 2 miles away. If he was speaking of the possible annexation of the Town, then that is ALL THE MORE REASON TO NOT MOVE FIRE STATION #3! If annexation is the case, we will have their Town fire station for the west side. The trend is toward better fire service: quicker response times. Moving station #3 to the west will make that goal impossible to achieve. Currently, we enjoy a fairly balanced service to both the southeast side and southwest side of our city. Let’s not make a $3 million dollar mistake now that will cost far more to correct later. The Fire/EMS Task Force may be portraying the fire station remodel/relocation issue as an all or nothing proposition, but it is not. Just because we may choose to move one station does not mean we must relocate the other too. Each should be considered on its own merits. The question of whether we do nothing, remodel, or rebuild should be decided on an individual basis. By virtue of the fact that we are questioning the viability of both of our older fire stations #2 and #3, this is the perfect time to consider the bigger picture of both our city’s fire/EMS logistics and our neighboring communities’. First question: what should we do on the north side? As noted earlier, moving Fire Station #2 from Lilly & Capitol to Calhoun & Capitol is not justifiable. The proposed west side location is too far from East High School and too close (2.3 miles) to station #1 on Calhoun & North. Considering the possibility of cooperating someday with Pewaukee, moving our station to within 3 miles from their likely fire station (on Springdale) does not make sense either. I did a little travel time test of my own over the weekend and found the proposed Calhoun/Capitol location for #2 Fire Station is 4x farther (2.8 miles) and 4x longer (4½ minutes) from East High School than the present Lilly location is at .6 miles and 1min.8sec. Slide #34 states “Every address counts the same.” That would lead me to believe the East High School address with 1,600 students was only given the same importance as any other house address with 4 average residents? The Task Force’s own data on the percentage of calls was: 2 northeast side calls to 1 northwest side call. To me, that 2 - 1 ratio does not justify moving Lilly station #2 west to Calhoun! Keep the Lilly & Capitol station where it is with or without the fire engine & 3 crew fire fighters—depending on budget constraints. (The task force did consider the 4 EMS stations and 1 main Safety Building fire house scenario, but found the longer fire service times to the east sides as unacceptable. See slide 8) Station #3 on the south side should remain a fire house due to its proximity to the freeway, hotels, and Brookfield Square. I think it is worth a try, to give this extra 4th EMS station a chance. This could just be the stop-gap measure we need to provide adequate EMS service to the northwest side until we could work out a cooperative plan with Pewaukee. If that seems unlikely, then maybe a more permanent EMS station could be built at the Municipal Garage or at Mitchell Park /south side or north side. Consolidation and cooperation are the current trend in fire/EMS service. Captain John Dahms himself said at the HRPS meeting that the trend was to consolidate to save on staff. It would be foolish to spend $6 million+ on moving the 2 fire stations both to Calhoun Road, only to find this makes our service WORSE or at a high redundancy with New Berlin (1 mile away), Town of Brookfield (2 ½ miles away), and Pewaukee (3 miles away), when the growing trend is toward regional cooperation and MABAS. Coming next: Station #3 IS in the right place! NE - Approximately 23% of CBFD calls. Central - Approximately 27% of CBFD calls. SE - Approximately 21% of CBFD calls. NW - Approximately 11% of CBFD calls. SW - Approximately 17% of CBFD calls. Mutual Aid Approximately 1% of CBFD calls. Comic relief: Super Bowl score, 30 to 15? Sunday, while at a neighborhood Super Bowl party, we were talking about the final score. One neighbor joked, Would that Steve guy on the school board round the score to make it seem better? The crowd laughed heartily. So, for the loyal Packer fans who can't stand the Bears, the rounded score was Colts 30 to Bears 15. Sounds better, doesn't it? The Mutual Aid Box Alarm System (MABAS) has been around for almost 40 years. It is recognized as a national “Best Practice”. It is a consistent method of providing and receiving mutual aid. Several years ago, Brookfield, Waukesha County, and a number of other Waukesha County municipalities designated MABAS as “the” mutual aid method to use in emergencies. Since then, MABAS has been officially designated as the state mutual aid plan. MABAS provides a consistent structure for organizing mutual aid under a single mutual aid agreement (contract) and set of operational policies. As a MABAS member we have the opportunity to receive mutual aid from a broad spectrum of potential partners. We can also exercise strong control over whom and how we decide to provide mutual aid in emergencies. The events of September 11, 2001 clearly demonstrated that the largest fire/EMS department in the country may need help beyond its borders. Last December Chicago relied on over 20 mutual aid fire companies from the suburban Chicago departments to handle emergencies in Chicago while over 2/3s of their resources were committed to a high rise fire. We have a responsibility to protect our community by developing effective strategies to provide resources in an orderly and timely fashion. MABAS allows us to do this very well. As MABAS members we review each set of response requests (Box Cards) as they are created by our neighbors pre-event. We decide if we can potentially provide the resources requested. Each community also reserves the right to not respond if they are unable to respond due to incident responses in their own community at the time of the request. This level of control assures that an individual community maintains its own resource capabilities. MABAS helps each community plan effectively for responses without compromising service levels among their neighbors. MABAS also provides “change of quarters” crews to cover empty firehouses as planned in the Box Cards. MABAS is a significant benefit to Brookfield. The MABAS agreement is standard throughout the system. The guiding policies and guidelines provide for a level of consistency previously unavailable in the fire service. The responses to and from mutual aid emergencies are better organized. This creates a safe and effective strategy for handling emergencies. It makes mutual aid easier for dispatch centers. It creates opportunities to practice radio communications, water movement, and mass casualty drills in a standard fashion leading to better emergency operations. All MABAS member communities will be better served through strong MABAS use. Please contact me if you have any questions or comments regarding MABAS use in Brookfield. Thank you. Do you think the length of time spent in committee determines a proposal’s viability? I don’t think so: A flawed concept is still just as flawed, even if it takes a year or more in committee. A study based on faulty data or reasoning is still just as wrong, even if it takes a committee years to reach a conclusion! There is no E for effort in my book. According to Alderman Gary Mahkorn’s comments at the last HRPS meeting, he would disagree with me. Seems he would give the E for effort and add an A for approval too. Twice during the meeting he commended the Task Force for their time and effort. And yes, they should be commended—I imagine the Task Force made a huge sacrifice of time to study the issues. Both aldermen Balzer and Franz questioned moving station #3 from its present location and for good reason: it covers the largest and most dense area of the south side. It is already in a great location to service the majority of households on the south side, and it is in close proximity to the “hot zone”: the commercial areas of Brookfield Square, hotels, and freeway. Yet Mahkorn kept trying to tie keeping that superior location to our cooperation with the Town of Brookfield’s servicing the Weston Hills subdivision, as if that Moorland location was only good if we had the Town servicing Weston Hills to the west. The truth of the matter is that ONE HAS NOTHING TO DO WITH THE OTHER! Look at the map. Nearly all of the higher density areas of households are covered by the current Moorland station. The travel times look to be less than 4 minutes for the majority of those homes—even the ones in the west. (The distances are about 2 – 3 miles.) Now look at the new proposed location on Calhoun and Greenfield. It shows the travel time to the north east side of district 7 as being 6 minutes and 50 seconds! The number of households NOT in the 4 minute circle in the present Moorland location are far less than the amount NOT in the circle in the new location on Calhoun. The move west for station 3 is illogical and unethical regardless of any cooperation with the Town or not. Right now we are contemplating changes to both fire stations. This presents a unique opportunity to rethink the whole fire/EMS scenario. Let’s not blindly jump at a change in relocation just because a committee says it is a good idea; there are problems with both relocation sites. Look at the maps and think about it for yourself. There is no room for Carte Blanche here. The future of our city and the safety of our residents is at stake. Once the moves are made, we will be locked into this poor decision for decades. I appreciate the effort the Task Force made, but that is no reason for E for effort or A for approval.